Recognize an outstanding individual with an award that is sure to impress! 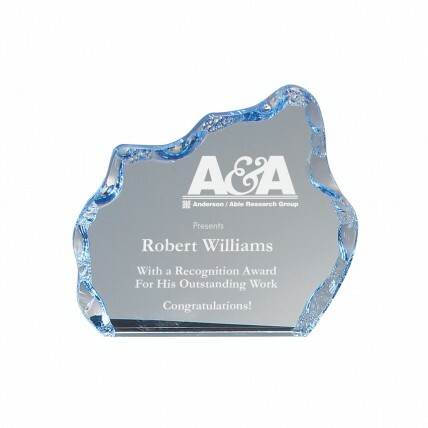 The Blue-Tinted Acrylic Glacier Award comes in four great size options and features a carved border and a glacier shape. The blue coloring will highlight your custom logo and message engraved for free! Extra Large: 7" x 8". Small: 4", Medium: 5", Large: 6", Extra Large: 7"
Small: 4"x5", Medium: 5"x6", Large: 6"x7", Extra Large: 7"x8"